Acid Steve is a DJ, producer and promoter of acid techno!!! Steve runs Avinit Records, a vinyl and digital label devoted to pounding pumping melt-your-brain music!! Releases available at www.stayupforever.com and www.909london.com… featuring tracks from him, Chris Liberator, DDR, Geezer, AP, and more to come! Steve is a resident at Smash Techno at the legendary club 414 in Brixton, and plays regularly on London’s freeparty scene, on soundsystems such as Every1Sound, Malfaiteurs, Hyper, KSS and many more. 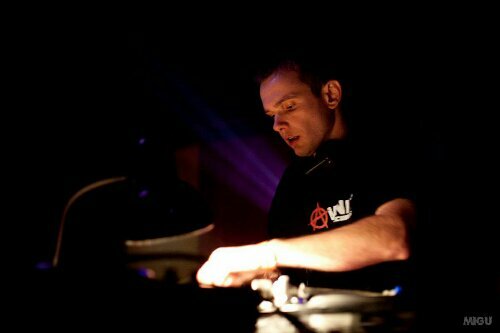 Steve has been lucky enough to play for many international techno crews including Acid Corp in Barcelona, Soundfeer in Czech Republic, warehouse in colombia plus teknivals and clubs in France, Italy, Germany, Ireland, Wales.. avinit all the way!!! This entry was posted in Acid Steve, DJ Focus, Smash Techno and tagged acid, acid techno dj, DJ, steve, techno. Bookmark the permalink.